Health Secretary Jeremy Hunt recently commented on the state of dementia care in the UK, promising a revolution of the current system with the aim to diagnose those suspected of having the condition within six weeks, rather than the six months it can currently take. The statement was made while Hunt was attending an international Alzheimer’s summit in Paris, where he stated his aim of transforming the UK into a “global leader” when it came to fighting the illness. His comments on the current state of dementia care and diagnosis in the NHS focused on the time it takes to spot early signs of the disease, with the health secretary explaining how he found it “absolutely scandalous” that in some parts of the country it took up to six months to get a diagnosis of dementia. 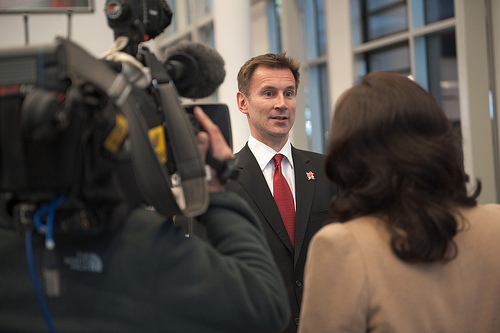 Hunt went on to make a number of further pledges relating to the new goals; these ranged from a reduction in waiting times for diagnosis, to the establishing of various education and business training schemes aimed at helping people spot the early signs of the condition developing in others. Marks & Spencer, Argos, Homebase and Lloyds Banking Group are the first of the major business who have signed up so far, with over 120,000 of their staff set to undergo training to support customers who have dementia. The announcements come as no surprise to many health experts, who claim that dealing with Alzheimer’s disease is becoming increasingly important. A recent study found that as many as one in three people will develop dementia in later life, many of whom will require support in residential care homes; Department of Health estimates suggest that as few as half of those currently suffering from dementia receive a diagnosis.